Waren House Hotel is just a few hundred yards from Budle Bay and two miles from the village of Bamburgh. Slightly further down the coast is the coastal village of Seahouses from which there are daily boat trips to the Farne Islands - famous for grey seals and puffins. No visit to Northumberland would be complete without a visit to the Holy Island of Lindisfarne - a few miles up the coast from your hotel. Reached by a tidal causeway Lindisfarne has broad stretches of beaches, a small village with pubs and cafes, a fairytale castle and, of course, an ancient Priory. 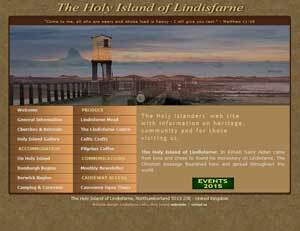 Holy Island is known as the cradle of English Christianity and it is at this location the Lindisfarne Gospels were created - but sadly reside in the British Museum although a facsimile can be viewed on the island. Looking inland the market town of Alnwick is about ten miles away - with a castle in the centre of town - home to the Duke of Northumberland - and open to the public. Visit Alnwick Gardens while in the town where there are a series of specialist gardens and water displays- all created from scratch in the past decade. Don't forget the border town of Berwick-upon-Tweed - which still retains intact Elizabethan walls built at great expense to the English exchequer to keep out the Scots! Walking the walls is a pleasant way to view the town. There are many castles and attractions within easy reach - some gems are Brinkburn Priory, Chillingham Castle, and the attractions of Ford & Etal. 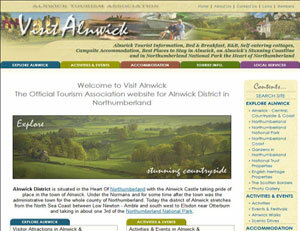 For more information try the links to local tourism websites.